A couple days ago, Apple released its new iPad (3rd generation) on the market. We did an in-depth review of the AT&T model, and was pleased with the features of the new iPad, most notably the 9.7 inch Retina Display with a stunning resolution of 2048x1536 pixels. Verizon's model of the new iPad is identical to the AT&T unit, except that it is capable of running on Verizon's 4G LTE data network (as well as 3G EVDO Rev A) - while the AT&T model uses that carrier's 4G LTE and HSPA+ networks. We used the SpeedTest.net app on the new iPad for Verizon over a 24 hour period to see what type of speeds it was capable of. During peak times in the Ft Lauderdale area, the Verizon iPad would get download speeds between 5-6 Mbps and uploads around 2 Mbps. But in off-peak times (evenings and nights) we saw download speeds ranging from 11-13 Mbps and uploads of 4-5 Mbps.We also used a Motorola DROID RAZR MAXX for Verizon and got similar results with it. For web pages, the Verizon iPad was able to fully load the PhoneArena.com web site in 15 seconds, while the Motorola DROID RAZR MAXX took 20 seconds (because of Flash content). Meanwhile, the AT&T iPad (which is in the New England area) using HSPA+ would get 8 Mbps downloads in off-peak hours, but would increase to 10-16 Mbps when connected to AT&T's 4G LTE network in off-peak hours. 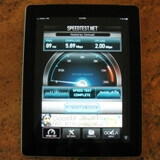 It is clear that 4G LTE does make a noticeable difference when using the iPad's data features. 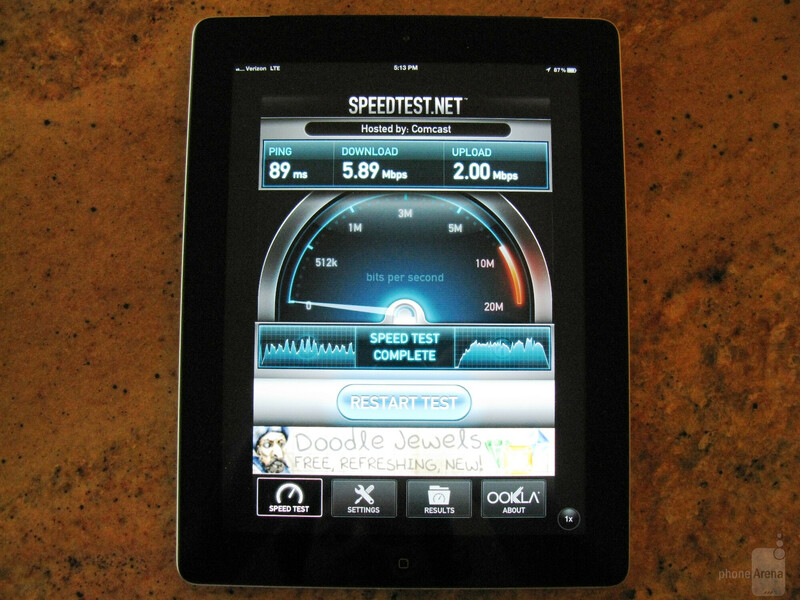 Below is a short video showing the Verizon iPad in action with the SpeedTest.net app and also loading web pages in the browser in the Ft Lauderdale, FL area. Please keep in mind that 4G speeds will vary depending on your area, network congestion, and time of day. So at&t's LTE is faster :/? Whatever probably because Verizon's has much more people on it. not really, Verizon only has about 5% of its users with LTE devices. AT&T has a bunch of phones/devices currently on the network with lost of customers using them - HSPA+ is far better than slow and old Verizon 3G. I should know as I have experienced both of them. I am sure Verizon LTE can be faster, though. If a Verizon user is on the edge of a 4G LTE zone, it may read 4G LTE on the device, but it will be slower. that will depend on were u live i live in los angeles zip code 90022 over here at&ts LTE is SLOW i know i might probably get thumbs down for saying that but its true. Over here at&t turned on LTE since december and its march and theres has been no improvement on speed. 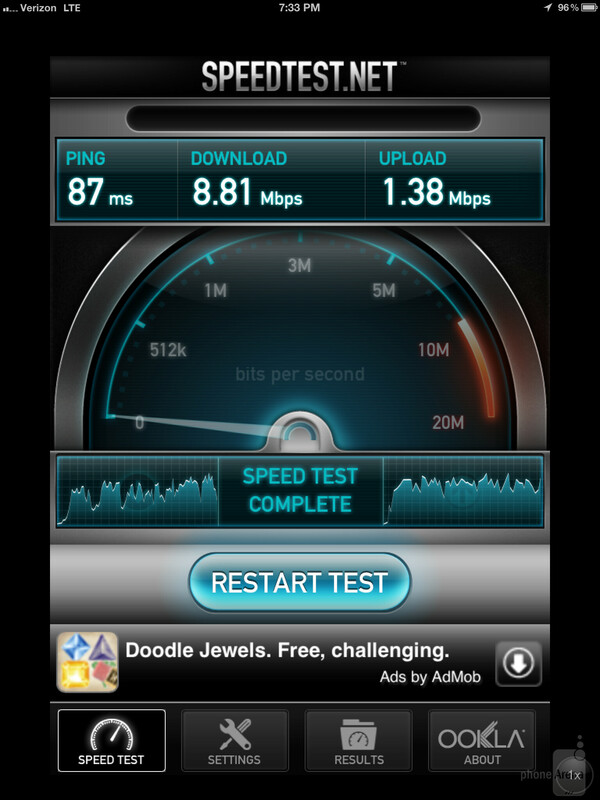 At&ts hspa+ is waaay faster. I switched to verizon last month and are getting faster speeds on verizons LTE im getting 15-20 mbps on my droid razr maxx something i never got on at&ts LTE on my skyrocket, lg nitro i never got higher speeds than 5-6 mbps on LTE while on hspa+ i always got higher speeds from 8-10 mbps. I know it wasnt my phones because my friend just got a note on at&t and shes gettin slower speeds on LTE from 4-5 mbps while on hspa+ she gets up to 10 mbps.. so yeaa.. I'm get 20-40 here in small town southern mn with my vzw lte. while att only has 2g and maybe 3g. So ... get the Verizon version ... if you are in an area that happens to get better throughput on HSPA+ ... then put an AT&T SIM card in it ... and away you go. The Verizon version will support that too. You are not locked to Verizon as far as HSPA is concerned. Well done! I would have probably bought the new iPad except for the announcement of W8 tablets coming out later this year which intervened in my decision process. So at the moment, I'll wait for Nokia to put out their WoA devices before making a decision, or I might probably settle for the x86 W8 tablet format. 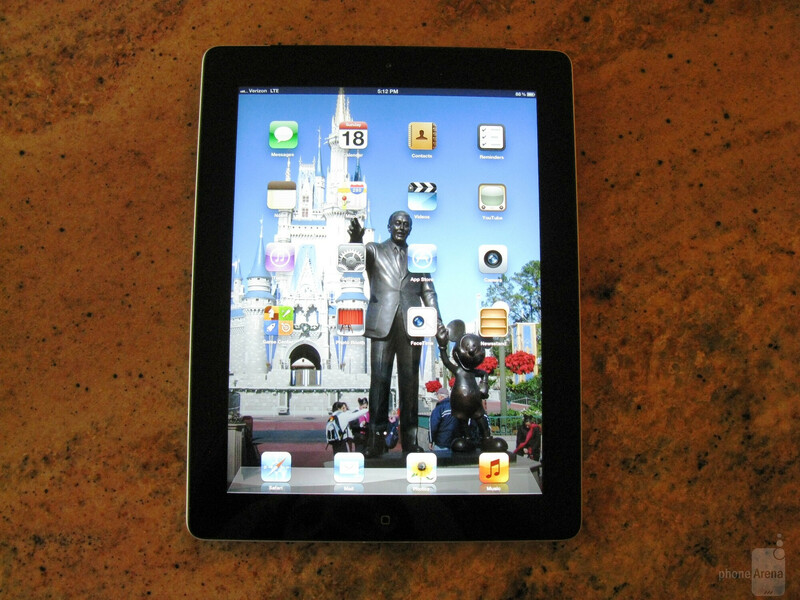 By the way, the Retina display of the new iPad is a minor consideration for me. That comment isn't true as general statement, Verizon's LTE service is faster in all but 3 markets where both exist (that may change as At&t rolls out more markets). And its been noted that only 5% of Verizon's customers are on LTE that is still 5 million customers at least. That is considerably more than are on At&t's LTE. As more users jump on there will be some slow downs. Their HSPA+ network is hands down faster than Verizon's 3G though, no question. This comment is almost exactly what I was going to say. Networkdood your a f**king idiot. Just think before you speak. Buckeye summed it up very nicely. Yeah Verizon only has 5% on there but that is significantly more than ATT has and Verizon has more subscribers as well. Plus I would rather lose 1-2 mbps to gain A LOT in coverage and a much larger selection in phones. first of all it is you are - not your - learn some written English. Second, I had written: 'AT&T has a bunch of phones/devices currently on the network with lots of customers using them - HSPA+ is far better than slow and old Verizon 3G.' Verizon 3G is far slower than HSPA+ and LTE - that is a fact - AT&T does have many, or a bunch, of devices that use either one or both. Where I live, my friend has the HTC VIVID with 15mbps down, and we live in a HSPA+ coverage area. Again, everything depends on equipment, network coverage, and on what obstacles are slowing down the signal. As for the 5 million customers, if you ask Verizon it is not good enough, that is why all smartphones being released from now on will be LTE 4G. AT&T has far more '4G' users than Verizon - of course, it all depends on what we call 4G, and I am sure AT&T would love to count their iphone 4S users as ones with 4G devices. Either way, I am with Verizon and await 4G LTE. Meanwhile, Wi-Fi is my best friend. Saying that one carrier's LTE is faster than another based on the article is impossible. They were using the 2 devices in 2 different areas. They would need to be in the same spot at the exact same time in order to compare them and even then that comparison would only be for that location. I would imagine the speeds vary wildly based on location, time of day and population in that area. This is an awful test. I live in a city that is about a modest 100k population and manage to get anywhere from 20-38MB download. Upload rate is usually 7-12MB.Using a Droid Charge, LG Spectrum and a Droid 4.
i thought the same. i get 10-14 down on t-mobile's hspa+. if LTE only means a 4mbps boost, forget it. I average about 11-15 on TMobile. Highest I have ever reached is 22 a few times. I also pay half of what I did when I was at Verizon. my friend gets 15-20mbps on his amaze in my area, my g2x doesnt have the 42mbps radio is all. i have the $30 monthly 4g plan. i had the chance to experience 4G LTE in Tampa, fl. on the high side 44mbs on the low side 19-21 mbs on AT&T network. Why would you bother comparing LTE speeds? In reality LTE has such a high bandwidth that it will be fast regardless of what carrier you use. What makes the difference is where the towers are near you and where you work/travel to. Verizon has many more markets in LTE, and many more subscribers, so AT&T could possibly pull faster in some spots cause you're closer to the tower and there could be a user difference. In the end though, you're looking at basically the same product rolled out by 2 different companies. Verizon from all research I've done is better poised for future upgrades of LTE though. Wrong bossmt. At&t had been working on LTE just as long as Verizon has but the difference is Verizon wanted to jump the gun and be the first with LTE. At&t's LTE newtork has rolled out in more areas a lot quicker than Verizon's network did because At&t didn't want to be first, they wanted to get it right. Verizon has coverage in abour 210 Markets compared to AT&T's 30, AT&T projects to be in 56 markets by the year end, Verizon plans to be in 400 markets by the end of the year. If both hit their targets how is AT&T rolling out quicker? Verizon is much more aggressive than AT&T they have the spectrum they have the money backing to throw into their network. Find a map from 3 or 4 years ago and compare Verizon 3G coverage to AT&T's. Verizon is better than AT&T at rolling out network. Eh. Nothing special here. 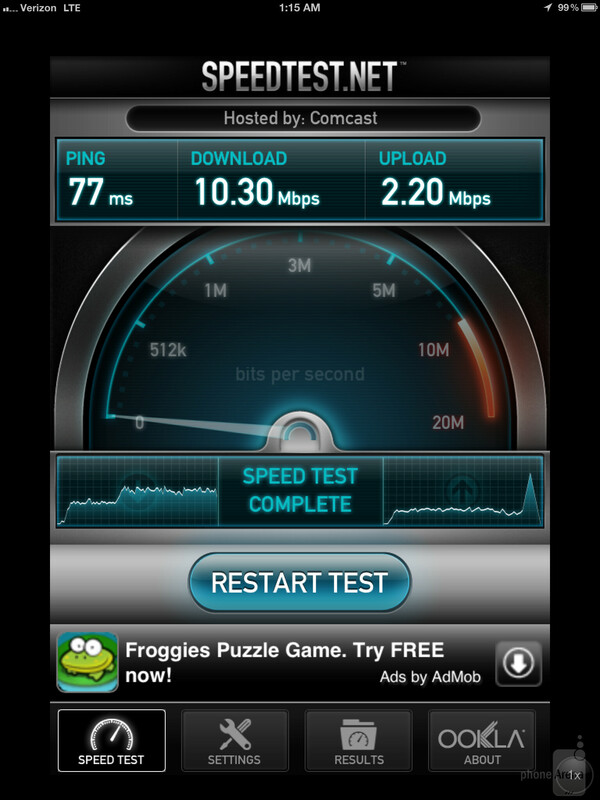 In Orlando, my Mytouch 4G slide, gets 10mbps consistently. 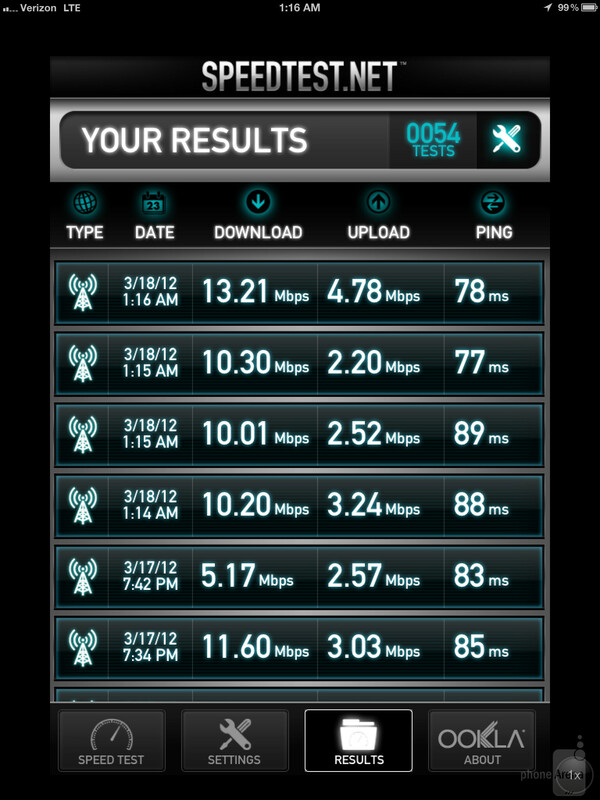 I was hoping that Verizon's LTE would be much faster than T-mobiles "4G". Ive said the same thing before as well. 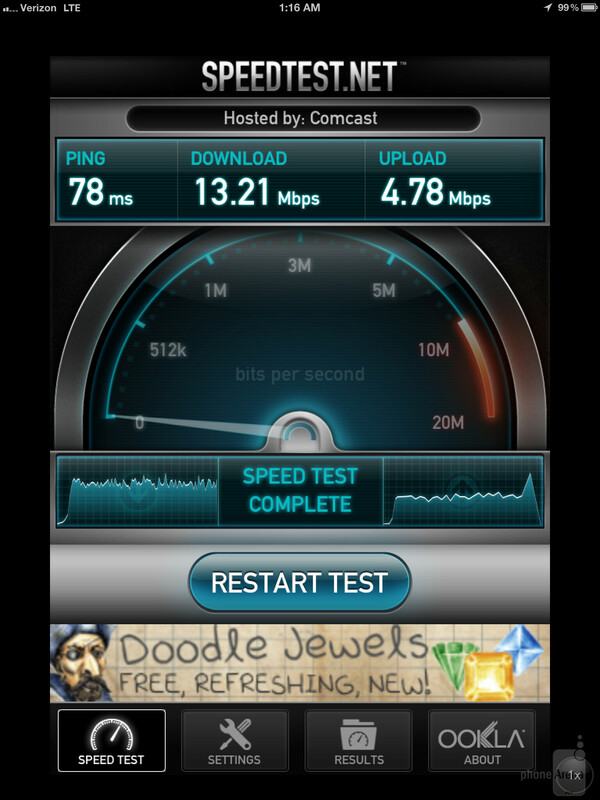 Im also in the twin cities area and get the same speeds on LTE with vzw.